1. History and/or Politics Talk - In which we discuss the lineage of various craft traditions, appropriations of crafting techniques in other art forms, collaborative projects between visual artists and performers, visual art as performance and vise versa, contemporary trends in crafting specifically as it relates to DIY culture, among other topics. 2. Guided Meditation - A gentle and brief moment to think about presence. 3. Project - I will give instructions for a simple project each session. You will be given time to work on it in class. You will also have the option of working on an ongoing project that will be available at every session. Materials will be provided. Tess Dworman is a Brooklyn-based performer and choreographer originally from Chicago, IL. In New York, she has worked collaboratively with Kyli Kleven, Steve May, and Caitlin Marz and they have shown work at Danspace Project, RoofTop Dance, and Roulette Intermedium. 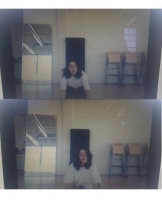 Tess' work has also been presented at AUNTS, Dixon Place, The Tank, and Movement Research at the Judson Church. 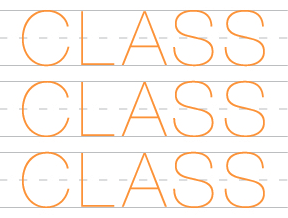 Tess is organizing this season of CLASSCLASSCLASS with Laurel Atwell.